Vicky Kaushal and Yami Gautam are on the promotional spree for their upcoming film Uri. 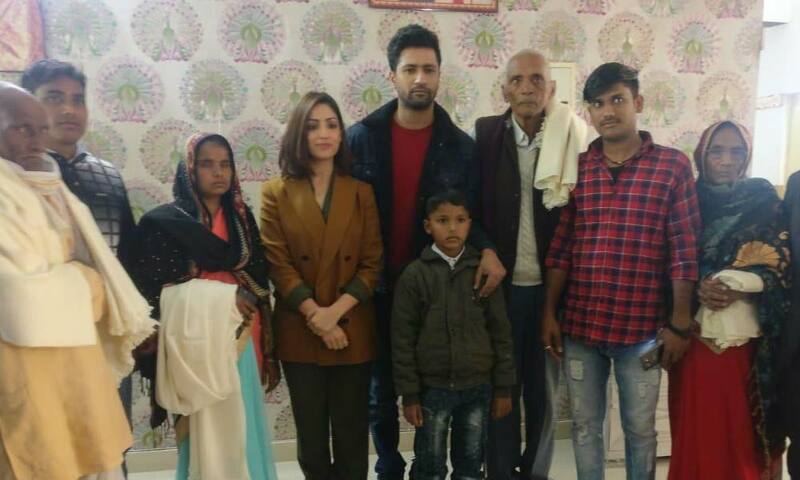 While promoting the film in Lucknow, Vicky Kaushal and Yami Gautam met the families of Uri martyrs. While promoting the film Vicky Kaushal got to know about the families of the Uri martyrs who lived in Lucknow, he requested the Uri team to reach out to them for a meeting. The families agreed on meeting the star cast of the film, later they shared their experiences with Vicky Kaushal and Yami Gautam. The film Uri showcases the operation initiated by the Indian Army in retaliation to the terrorist attack in Uri, during which 19 Indian soldiers were killed. Next articleThis Is How Ritesh Sidhwani Celebrated His Christmas!